Evette Rios, the host of CBS’s Saturday morning cooking series Recipe Rehab, was a part of The Talk Food Festival with some delicious ways to make some favorite meals more healthy. 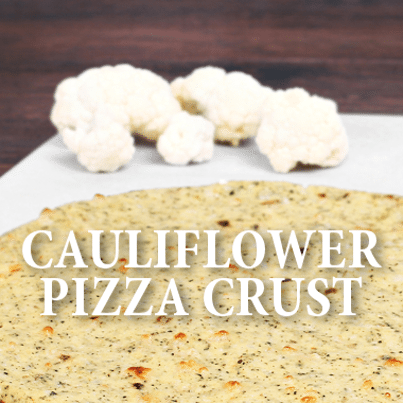 Try her Cauliflower Crust Mini Pizzas or a Gluten-Free Black Bean Brownie. In Recipe Rehab, families compete head-to-head with lighter versions of family classics. Evette Rios said she loves working with the chefs and families to reinvent some great tastes. You can watch the show Saturday mornings; check your local listings. Guest co-host Sean Hayes brought the jokes while making the cauliflower crust for these pizzas. This Cauliflower will give you 70% of your needed daily Vitamin C. Swapping fresh tomato instead of sauce will cut down on sodium and preservatives. Rios said she prefers not to wash mushrooms. Instead, she rubs them with a wet towel to get off any dirty on the outside. Washing them can make them rubbery, which nobody wants. Preheat the oven at 400 F for your crust and spray a baking sheet. Line with parchment and spray again. Cut cauliflower into florets. Pulse in a food processor with garlic cloves to the size of rice, generating about two cups. Spread cauliflower and garlic on a baking sheet, cooking about 15 minutes. Let cool. Combine cooked cauliflower with cheese, egg, and oregano; mix this into a dough. Divide mixture into four equally sized pizza crusts, about 5” each. Bake for 20 to 25 minutes; then let cool about 10 minutes. Meanwhile, prepare your cooked toppings. Cook sausage in olive oil and crumble using a wooden spoon. Continue to cook until done, five to six minutes. Add mushrooms, kale, salt and pepper to the turkey. Cook two or three minutes, until kale wilts. Remove stems from basil leaves. Layer all toppings on top of cooled pizza crusts. Return pizzas to the oven for about seven minutes at 400 F, until bubbly. Slice and serve while hot!